“First and foremost, I consider Sid and Shea both personal friends and they truly have your best interest at heart. I am now on my third purchase from them in the last 10 years. This is where I choose to and will continue to buy good…. no…. excellent cars that fit into my budget. Shea always finds the best finance route for me. They have always kept me in the kind of vehicle I like to drive; always very nice, very clean vehicles. We are writing to express our appreciation for Shea and Sid Phillips at Number One Auto Sales. We were in the market for another vehicle and decided to visit Number One Auto Sales to view their inventory. We found a vehicle we loved and, after thorough research and much consideration, we decided to purchase the 2008 Ford Edge. Shea and Sid were very informative, patient, and considerate of our time and business. From the initial conversation to the closing of the sale, they displayed exceptional professionalism and customer service and really cared about our satisfaction. Additionally, they followed up with us after the purchase to make sure we were still satisfied. This was the first of what we hope to be several purchases at Number One Auto Sales! 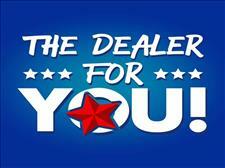 Exceptional customer service when we purchased our vehicle and thereafter. 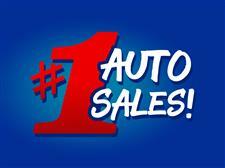 We'll definitely continue to purchase our vehicles from Number One Auto Sales! They're awesome guys to deal with. They helped me even though I didn't have the best credit, and got me into a new truck! Service is second to none! Thanks again guys, I'd recommend you to anyone! The absolute BEST service EVER! These guys really make you feel at home and treat you like you're family, not just another dollar sign walking through their door. Very nice, generous and caring folks! And LOVE the music.. Adds a touch of excitement and motivation! Shea is an awesome salesman! These people really care about their customers. Thank you Number One Auto for putting me in my new (to me) 2006 Jeep Liberty Limited Edition! Absolutely LOVE it! 100% satisfied, hands down!!! Most pleasant place/people to work with! All of the gentlemen there where great from beginning to end. They made our car buying process one to remember . It was by far the greatest customer service I've ever experienced. The atmosphere was relaxed but you got a feeling that they meant business getting you that quality car you needed without breaking the bank.. If you are looking for a high quality car and excellent customer care this is will you need to go. We will definitely be back again!!!!! This is the 5th vehicle we have purchased from Number 1 and they have never let us down! Today was extra special because we purchased my daughter her very first car. Every staff member was extremely nice towards all of us especially towards my daughter Brooke! I'll rest easy knowing our daughter will be driving a safe newer vehicle! Special thanks to all the staff members for the awesome hospitality towards my children, family, and the children we babysit! Very pleased with the people here they are all very friendly and you feel very welcome and comfortable when you walk into there place . Oh and never a dull moment lol always a very good sense of humor lol definitely a 5 + star here at number one auto !!!! Great work guys!